Craig is one of the most respected creative leaders in advertising. 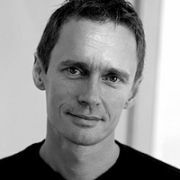 Craig is Co-Chairman and Chief Creative Officer of Publicis Mojo Australia. He joined Publicis Mojo in June 2009, after returning to Australia from his London-based post as JWT's worldwide creative chief. Craig re-engineered the company's creative culture and led JWT to the biggest upwards leap in the history of The Gunn Report; its award tally at Cannes increased more than five-fold. He was also instrumental in winning the global HSBC and Nokia accounts for JWT. Prior to JWT Craig led Saatchi & Saatchi Asia to become the most awarded network in the region and was recognized as Campaign Brief's Person of the Year. He has been a juror for every major international advertising festival and served as President of the Cannes Film and Press juries in 2008. He’s a frequent spokesperson for the industry, a regular Campaign magazine columnist, digital enthusiast and keynote speaker. Craig is also the fastest Australian to complete a marathon at the North Pole. Recently he started the world’s first brand-centric social media platform - Brandkarma.com as a personal project. In between things, he does his best to keep fit, stay sane and be a good dad.